Happy OPAL October #FashionFriday!! Today we are going to focus on one (come on, it’s so hard to choose just one!) of my ALL TIME faaaaaavourite gemstones, the October birthstone, OPAL! – Black Opals are extremely lucky. – Opals are unlucky if used as an engagement ring. – Opal engagement rings are the luckiest in securing a long, happy marriage, if presented to a person born in October. – Caesars gave Opals to their wives for good luck. – In ancient times they were believed to have fallen from the sky in flashes of lightning, thus infusing them with their majestic flashes of colour. – If the owner dies, the colour in the opal will fade. – Opals will make you invisible. – Opals will turn pale if there is poison present. 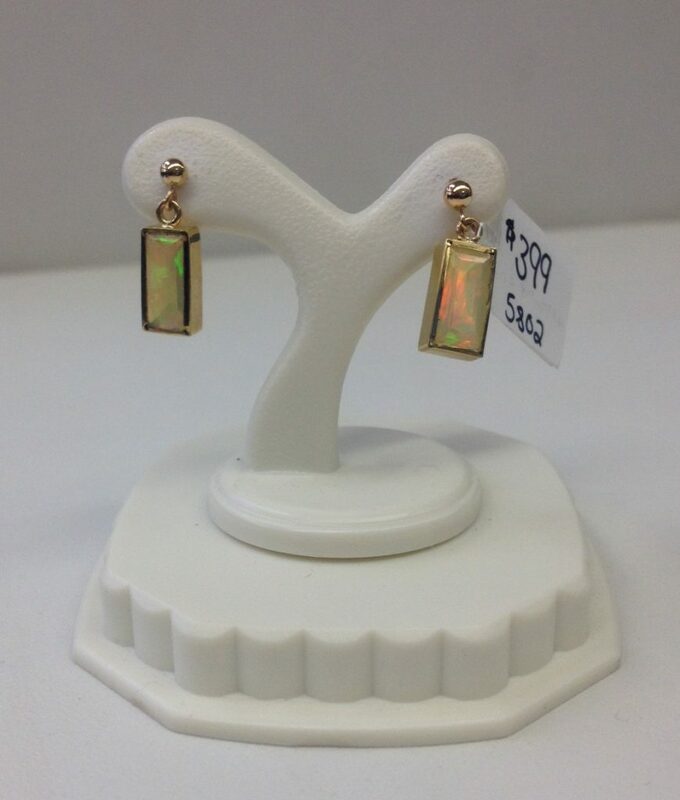 – Opals symbolize hope & creativity, and are thought to bring the wearer happiness & beauty. 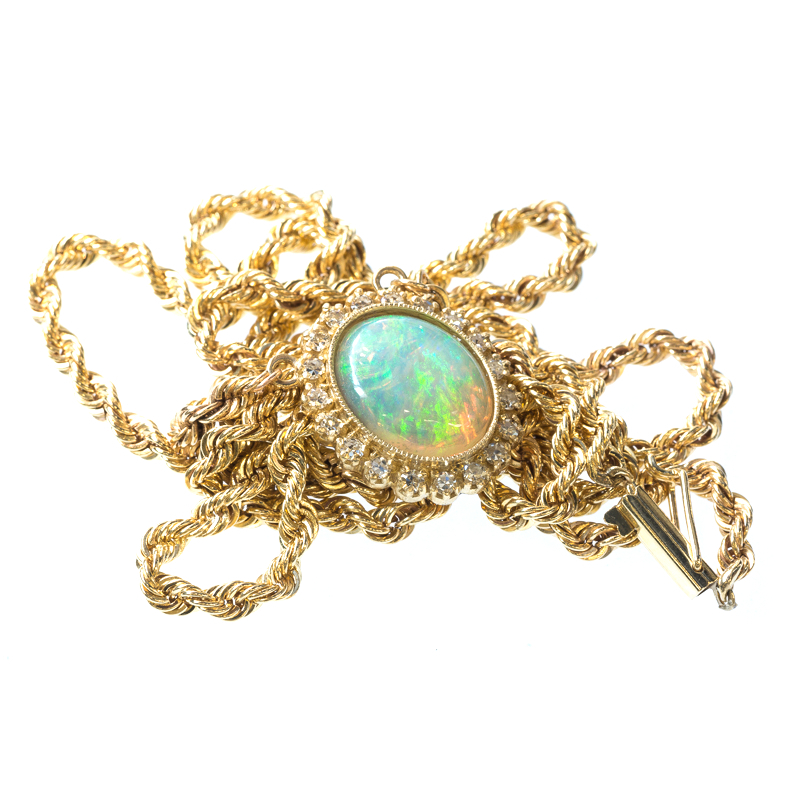 – Opals were once feared as they were thought to resemble the “evil eye”. – Opal miners report living long & prosperous lives. 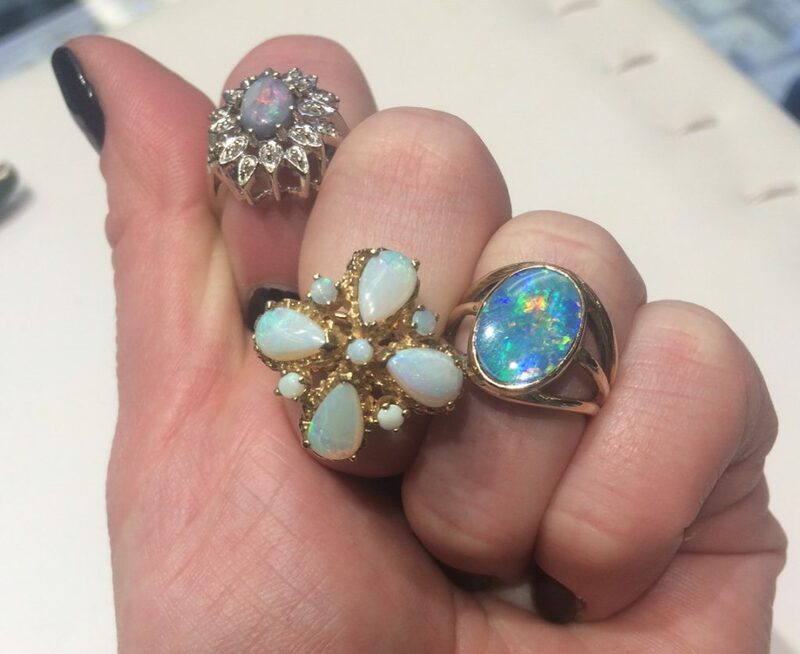 …..Personally I like to think of Opals as one of the luckiest gemstones! With an ENTIRE RAINBOW stuffed into a stunning little stone, how can you not think of magic & good luck!?! Now let’s get started with this week’s #FashionFridayFive! 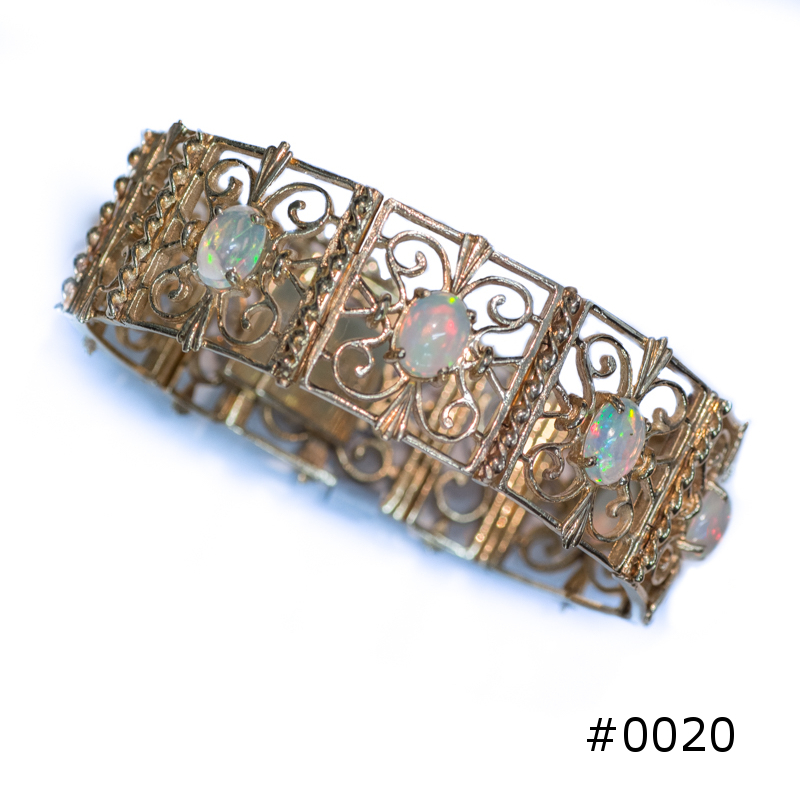 This stunning opal & yellow gold bracelet is currently one of the featured pieces in our Consignment Sale! A custom piece from the past. 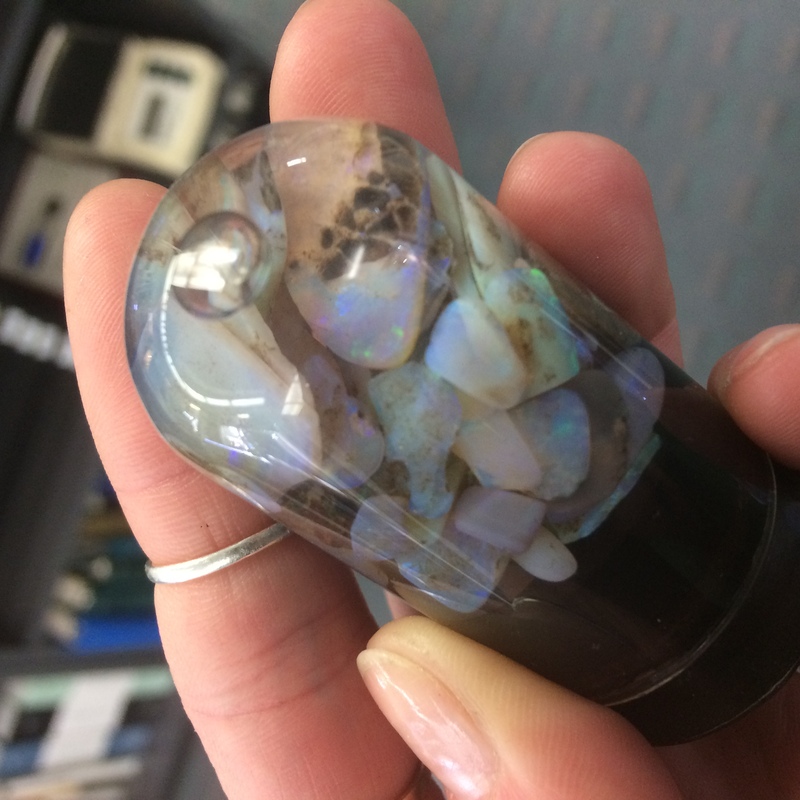 We have TONS of uncut, unset, raw opal just waiting to be transformed into the piece of your dreams! Have a fabulous & well accessorized day!